OMG, I’ve only gone and done it again. 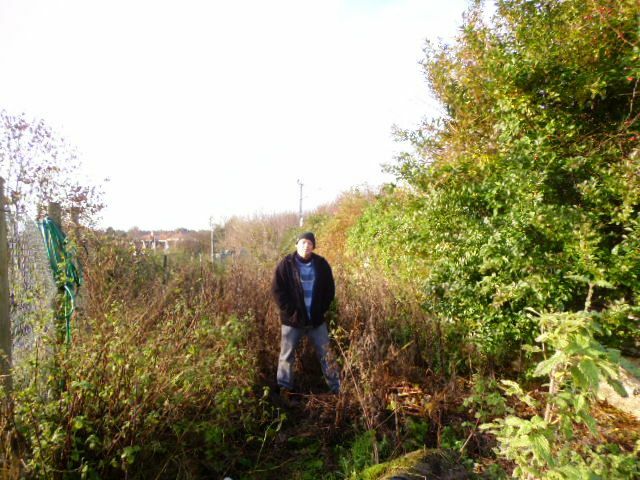 Here are a few diary posts that I made on the internet during 2008 & 2009 regarding my efforts at being an allotment keeper. I should have check my mail first thing this morning, but left until I was going out. A letter from the city council regarding my allotment. Due to an oversight on their part. My 125 sq Metre allotment already has a paid up tenant. I have to vacate the plot as the original tenant is all paid up, etc. I have just spent 4 weeks clearing the overgrown vegetation, digging the whole plot over, eking out all of the bramble and other weed roots, building a 3 section compost heap out of second hand pallets, and had made the framework and laid in the planking for two 12ft X 12ft X 2ft raised vegetable beds made from reclaimed scaffolders boards. Information gleaned from other allotment holders, indicates that the original tenant lives in a property overlooking the allotments, and speculation is that they have been watching me working over the last month, and have put their claim in just as the plot is ready for planting. The council has offered me the adjacent overgrown jungle plot. I’ve been on the phone to city hall this afternoon, and have met with one of the Parks and open spaces officers (covers allotments). A council worker had marked out the plot for me with spray dye, but it seems that he marked out the wrong plot. 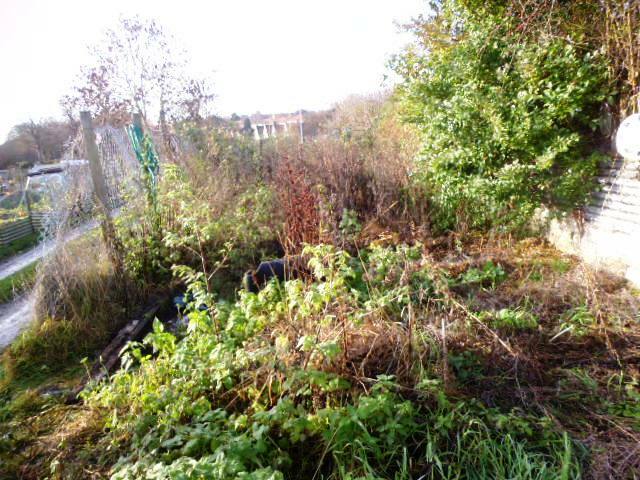 The P&OS officer spoke to the original tenant on the phone, and he is adamant about keeping the plot (even though the other allotment holders that I have spoken to today say that it is over 3 years since he used it). The options that I have been given are a cash refund pro-rata as tenancy runs from 1st November to 30th October. So even though I have paid my annual £36 rent I will only get £24 back. Or take the adjacent plot and start over from scratch again. I have just got off the phone to the P&OS officer. It turns out that the adjacent plot is the one that I should have had, and that I should have checked the dye marks against the plot number on the map I received. As a gesture of goodwill a work crew of offenders on community service will appear on Friday morning to clear, dig, and transfer the structures to the correct plot for me. I’ve calmed down a lot in the last 90 minutes and have seen the funny side. I think it was the threat of the digi photos and video that I had taken of the work in progress being emailed to both ITV Anglia News, and the Eastern daily press that did it. This afternoon, I got to the point where I was going to spread Sodium Wotsit on the plot, as a sort of scorched earth policy….. ….. ….. If I can’t grow stuff on it, then neither can you! I arrived at the allotment for just before 9 am. Within just a few minutes the mini bus containing the Community Service work crew arrived, and less than 5 minutes later, 15 people were hard at work on my plot. An hour later work stopped for 10 minutes, and when I stood back and perused the work in progress to date, a serious inroad had been made. A crew of 12 wielding spades undertaking the digging and 3 undertaken brush and heavy weed clearance. The crew broke for lunch at midday, with tea in a big insulated box type urn being served, from the back of the mini bus. 30 minutes of tea, jovial banter, and a few roll ups was enjoyed by all. I spent a few moments surveying the work, which showed that significant progress had been made. The surface weeds and most of the grasses had gone from most of the plot, over half my allotted area had been dug over, and the bottom of one of the raised beds was used as a collection point for various clumps of soil with weeds and roots still attached. Work resumed at a decent steady pace, 12 people digging the virgin ground, 3 going over the previously dug section, removing missed clumps, and odd pieces of weed roots. At 2 pm work ceased, as Friday is their short day, the same as it is for many in the real commercial and industrial world. Over 2/3rds and closer to 3/4qtrs of the plot had been dug over and weeded. In less than six short hours, a very serious in road had been made, with a promise to return next Friday to help me finish off, and complete any other tasks that I may need help with on the allotment. Considering all of the duress the allotment had provided for me during the previous week, I am a reasonably happy man. I deemed it prudent not to take my camera with me yesterday, although I do have photos of WIP on the old plot. You may rest assured that the camera will go up the allotment later this week, and the usual long winded posting will be made by me. On Monday I plan to order 1 ton (possibly more) of deep litter Turkey muck, which is £8 per ton delivered (basically transportation costs), using this as the base lining for the raised beds. I have changed my mind regarding the size of the raised beds, and now wish to alter them to; four 12 X 6 X 2 beds, rather than two 12 X 12 X 2 beds. This will allow for better all round “from the ground access” rather than tramping all over them. I shall also chat to the other allotment holders regarding Horse manure from local stables, etc. Society membership and group seed purchases. Unusually for me, chaos has ruled the earlier part of my morning, as I had forgotten about the CS work crew arriving at the allotment to continue the good work started last week. A quick trip over there to get them started and then off for my first music lesson and DIY exchange session. The CS crew are continuing with the digging and weed grubbing, and will finish the alterations to the two remaining raised beds. I managed to alter and move two of them earlier in week, with the intention of getting the other two completed and moved before this morning. If they finish these tasks, their supervisor has promised to ridge up 4 rows for potatoes if there is time. Today will be the last time that I will get assistance from a CS work crew, and so far they have done a sterling job. I have just had my first one hour guitar lesson, and I can now play the A minor, and the E minor chords from classical gas, and I am very chuffed with myself. But will I be able to remember it later tonight, or more importantly over the next few days ? My Tutor’s door has been rubbed down and primed, and so I have met my part of the bargain. I’ve now just got to wait for my Landlord to arrive to do the quarterly inspection on my flat, and then I can get back up to the allotment, hopefully before the CS crew knock off at 2pm. The work that the CS crew has done is magnificent, the whole plot is dug and weeded. One of the compost bins is loaded with loads of bits of weed, grasses, and clumps of roots. The second two raised beds have been assembled in their final positions, and two rows of potato ridges been made. I am extremely happy with all the work and effort that has been put in for me. I have got a load more Freecycle scaffolding boards to collect tomorrow, which I will use as a second skin on the raised beds; a bit like double glazing. Because I have used 4 X 4 timbers for the corner posts, nailing the additional boards to the insides of the raised beds should present no problem. I’ll just have to find something to act as an insulation layer between the boards; a bit like cavity wall insulation. On Monday I have a ton of well rotted deep litter from a Turkey unit being delivered. That works out at 2.3kgs per square metre of Turkey litter for the plot. I have also been offered a free 20 cu/metre load of freshest stable muck. As I have no intentions of using the raised beds straight away, all the stable muck will be placed into them to rot down over the coming months, ready for planting in the Autumn. The 4 raised beds will require about 14 cu/metres to fill them, so I shall heap all 20 cu/metres into them. Hopefully by then the horse muck & straw will be rotting away well, and provide me with hot beds for fresh veg through the winter months. A very interesting day yesterday. Pillsbury popped over for lunch (which I managed to burn), bringing with him a bottle of his home-made Mead for me to sample. The original plan was for him to assist me for the day on the allotment. However, last week the City Council temporarily closed access to the allotments due to a possible asbestos contamination scare. Fortunately, I had already spread the Turkey litter as a top dressing on the plot, ready to be worked in with Hoe and Rake, and had heaped up around 25+ cu/mtrs of stable litter into the raised beds. The weather has been appalling this week being both wet and cold, so in reality with the closure due to the asbestos scare I have not lost anytime. Hopefully this week, we will receive the results of the soil samples, and can get right back to it. Two months on, and the Asbestos decontamination crew arrived this morning to start the clean up process. I managed to sneak into the locked off allotments, just to view what had happened over the last few weeks. All that hard work wasted! as the weeds have grown back and are approaching waist height. I got off lightly compared with others, as I had a covering of fresh stable manure put down on the surface, but this has only served to reduce the weed ground cover, but has encouraged the growth rates of those that have managed to pushed the straw and muck. For all intent and purpose, I as well as the other allotment holders have effectually lost the most important part of this Year’s growing season. On the plus side the council has refunded the ground rents for the whole year, and have promised to get a contractor in to help with the hard preparation work (the cost of this is probably covered by some insurance policy that the council has), and I guess that if I/we push hard enough the Community Service Crew will be made available to us again. I hope that the few “Set backs” will not defeat me. I had the advantage of being further ahead than I expected, due to the help from the Community Service crew, and I have secured the loan of a Two wheeled tractor. These are the cultivating machines use by the professional growers. So when I do have access restored, I can fly in like a good’un. If I treat the rest of this year as a preparation season, it will be considerably easier in the long run. Just to bring you all up to date. 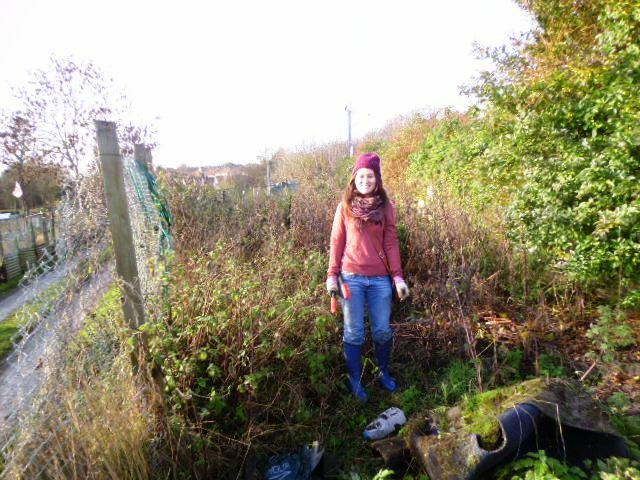 It was an eventful few months on my allotment; The doubled tenancy, the asbestos contamination scare, and the appalling weather of last season. It didn’t really work for me, although I did crop some Potatoes, Parsnips, carrots and Swede. I received bad news in January; Gareth really had lost the plot, but in a sort of good way. My tenancy on my allotment was rescinded as my plot was required to make an access road. Norwich City Council have recently been opening up new areas on our allotments from the adjacent overgrown “waste ground”. My allotment was in a direct path for the diggers, and dozers, along with building a new access road. However, I have been offered (and I accepted) one of the new plots. As from today (05/03/09) I have become the tenant of this new plot. It is right at the beginning of the growing season, I am really looking forward to get over there in my spare time. This year Mikki; one of my 3M’s will be sharing the allotment with me. She is a professional gardener, with loads of energy and enthusiasium, and amongst other things she is a vegetarian. We are going over there to make a start on the new plot this weekend, and I promise loads of photos and a decent write up as we progress through the year. I popped over there this afternoon, and it is another virgin plot that I have been assigned; more hard work for my spade. Gareth has a new plot; his third virgin plot in 15 months. I received the tenancy agreement and keys last Tuesday, but today was the first time that I have been up there to survey properly. It is 250 sq/mtrs with a ground rent of £14.99 per year, has a mature Walnut tree at the east end, and a Hawthorn hedge at the west end. This year, one of my 3M’s; Mikki will be sharing both the labours and the fruits with me, and hopefully it will be a success third time around. I continually battled against brambles for over 4 months, applying many doses of weedkiller, using a commercial strimmer with a metal blade and hacking away with a sickle with some gusto, along with digging for glory with extreme determination only to have the continual growth and creeping of the Brambles knock me into total and abject submission. No doubt you are now wondering why I have bored you almost to death with such a long post reminiscing my failures with allotments about 5 years ago. Well, the answer is extremely simple; my friend, Sachiko has just been granted an allotment tenancy here in Norwich, and ask for someone to share the plot with her….. and guess who volunteered? Hopefully a new beginning and a rebirth of my 9 sq/mtr project. Having been either rather ill or very busy (and sometimes both at the same time) this year I have let both our garden, and my 9 sq/mtr project slip, and over the whole of this year we have produced only about 30% of the vegetables we have eaten. Later this week I will start my rundown for Christmas. I have been working extremely hard since we returned from India and I have trebled and almost quadrupled my usual stocking levels so that I can gain a week (of hopefully frosty days) that I may get 2 or 3 days of Pike fishing in, and bring the 9 sq/mtr project back into line, including incorporating large amounts of Horse & Donkey manure to replenish the soil. I also wish to undertake a bit of landscaping in the garden, which includes the addition of a 12 mtr long X 1.2 metre high screening fence with a 1.5 mtr wide gated archway (all made from reclaimed pallet timber) complete with climbing Roses, and a roofed but open walled structure with an area of 5 mtrs X 3 mtrs X 2.5 mtrs high for undertaking projects under and out of the rain. During the summer I became involved as an associate member in a local Community share Growing & Cropping project. This project currently has approx. 7 acres under cultivation by its members, and although I will not be directly involved in the cultivation, etc. why I have become involved will become apparent during March and April of next year. Yesterday, I began cleaning up the garden a little from last weeks extremes in the weather. 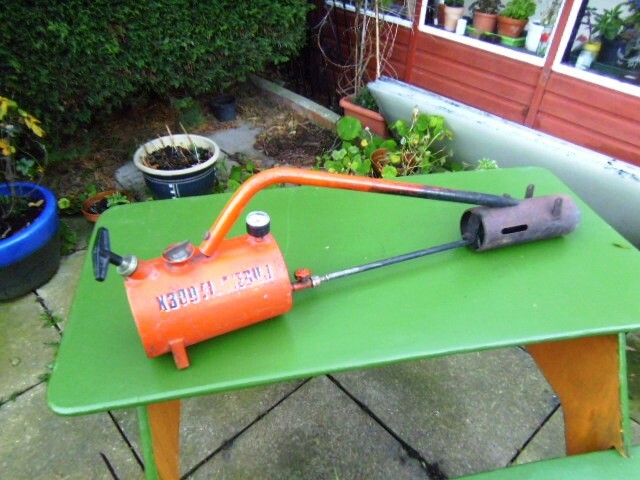 Although we are some 15 or 16 odd miles inland from the nearest bit of Norfolk coastline we did experience the gale force storm and the subsequent masses of wind blown leaves from Lionwood and litter from Pilling Park that were deposited in our garden. I also had a bonfire and burnt off an awful lot of old and dry Leylandii brash that we had cut and trimmed from our hedges over the previous 12 months or so, and to finish off the day before settling in for an evening of reading & online backgammon, I set a couple of Sweet Potatoes to chit so that come the late spring we will have viable slips to plant out in the vegetable plots. 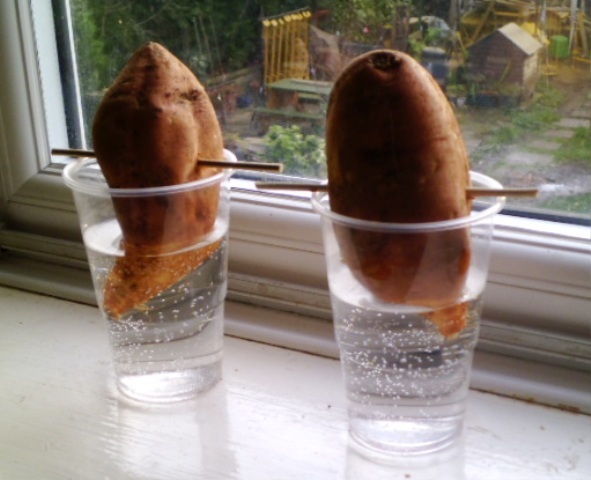 This is easily accomplished by obtaining some Sweet Potatoes from a Supermarket and using a Bamboo skewer to support them with the pointy end just in some clean water on a warmish windowsill; preferably south facing so that the tubers may receive sufficient sunlight to produce slips strong enough for planting and growing a crop from. In all I will have 8 Sweet Potatoes hopefully producing healthy slips for planting next season. They will be purchased in pairs from 4 different Supermarkets so that I have unrelated stock chitting, which if we generate sufficient slips I will share with some gardening friends. It may take 4-6 weeks for the first slips to show, and we have set ours off 3 weeks earlier than last year, so that they may be more advanced and hardy enough before the springtime weather turns warm enough to allow them to be planted outside in their final positions for cropping. It has been about 5 months since I last posted in my 9 sq/metres blog. All has not fared well with our efforts and we kind of, almost, but not quite gave up completely upon the 2012 season during a continually wet September. Having lost so many crops to the weather, pests and blight, our next stumbling block was a serious infestation of Spanish Super slugs, and these are the tough guys of the land molluscs. They will literally eat anything including plants normally considered slug proof because of bitter tasting parts, poisonous plants and carrion……………. they made short work of the leaves on our rhubarb, even eating the leaves of the Leylandii hedge clippings brash, and according to the University of East Anglia and the John Innes Centre scientists they will even eat carrion. Suffice to say that even the birds that regularly visit our garden will not eat them, so the buggers flourished through the wet but mild autumn we experienced. The only effective natural predator seemed to be the abundant numbers of common Toads that are either resident or visitors to our garden, but alas before bonfire night had arrived our most welcome and encouraged indigenous amphibian allies had already retired to their annual winter hibernation slumber. The only crops that we continued to harvest through until January were Brussels Sprouts, Curly Kale and some odd Parsnips. The cold weather, snow on the ground and frosts (although not too many seriously harsh frosts) began in December and have continue through January and on to the end of February. During the first week of January I developed a bad cold and before the month was out I had suffered a dose of flu that although only lasted 72 hours or thereabouts, it incapacitated me for over a week and since recovering from that I have endured both ear and sinus infections, a bad chest infection and yet another cold along with bad cough. With the exception of the week spent recovering from the flu I have continued to work: I am a self employed one man band and if I don’t do it no-one else will. Fortunately I have been confined to my workshop with little if no direct interaction with the outside world, and though my workshop is unheated I found that 30 minutes of welding first thing in my work day was enough to bring the temperature of my workshop up to an acceptable level and if I continued to weld 30 minutes on and 30 minutes off throughout the day the radiant heat given off by the work pieces as they cooled down was sufficient to maintain reasonable working conditions. At times during the last couple of months I have struggled to keep up with the orders for my products, and the Dual Head Pallet Dismantling Bars have exceeded the sales I made during this time last year by at least 125% and up to almost 135%. Alas, I still have an unheated painting area and have experienced some difficulty with paint drying and hardening; around 24 hours when the ambient temperature is above 5*C, but increasing to well over 72 hours drying and hardening time when the temperature is hovering at around zero or lower; as it has been for the last few weeks. This has created lulls in my day to day work load of several hours here and there as my paint drying racks have been filled to capacity even when my self-erecting scaffolding tower was pressed into service to provide temporary extra drying rack space. This semi down time has not been wasted, but it could have been better utilised undertaking maintenance and improvements within the workshop and business in general. Essential jobs have been completed, but others have been postponed until the warmer weather arrives. However, an elderly retired beekeeping friend has kept me on my toes and together we have recently made 8 national beehives from reclaimed pallet timbers. 2 of these hives will be for us, 2 will be for Keith and thus bring him up to 6 hives that he manages, and the remaining 4 national hives we have made will be offered for sale and thus hopefully financing and covering the running costs of both Keith’s and our hives…………… although at the moment he is not too happy with me securing the waste fondant produced by a small local independent bakery. Keith had already approached this bakery about disposing of the waste fondant and using it to feed his Bee colonies through the winter months, but he was turned down. However, I have a newly acquired EA waste licence (more of this to come in the following months), and by “flashing my ticket” I can now collect the waste fondant on a regular basis which will be stored in a freezer until needed, and when this time does arrive I will of course share it with Keith and some other newly made beekeeping friends. Our 9 square metres project has stalled, but it has not died; it is not necessarily in need of resurrection, but a little resuscitation would not be amiss. Yet again I have turned our garden into an over winter mess that needs to be tidied. Most of this mess has been generated by reclaiming pallets for some really nice projects that I wish to complete during this coming springtime and summer, but I also started to lay a garden pathway in early December which then got abandoned due to both work commitments and the appalling weather we have endured, and commitments in our social life have also exacted a toll. Norwich AlleyCat has been rather unsuccessful during the winter months, and my illness has not helped in anyway, so AlleyCat has been shelved until after Easter (I have not even ridden a bicycle so far this year! ), and if I am completely honest I am tempted to restrict the Allycats to only the warmer months of the year. I have committed myself to producing a 12 track compilation CD in aid of replacing the aging and now unreliable sound system for the Norwich Music House, and work towards this goal is both on track and very satisfying: I should have all the music files in, fully produced and edited before the end of May, which will allow us the opportunity to release the (first) album for sale on the Autumn Equinox as planned. I have generated more than enough interest and enthusiasm throughout the Norwich live music scene to the point that I have the promise of material to produce 3 and maybe 4 CDs to support our cause. As yet and 2 months into this project we only have seven of the required twelve tracks for the first CD, but that is only because the additional five tracks needed are still in the rehearsal stages having been written especially for this album………… such is the enthusiasm from the local bands and musicians for this project of mine. Regardless of my condition, or the prevailing weather on the 2nd and 3rd of March I will tidy the garden up, and present it ready as a canvas for both Lois and I to resuscitate back into life our 9 sq/metres project. Our current plans are drastic, and will included the removal of almost if not all the plants from the vegetable patch and relevant planters allowing us to begin again, and to build upon the knowledge gained and our mistakes made last year. and especially in the 9 sq/mtr project. crops, and our intake of home grown vegetables has dropped to approximately 25%. bands Kodak digital camera it is proving to be rather temperamental. I miss my digital camera! desk top mess ….. it wasn’t lost before she tided it up! ability to closely manage the growing regime. started them off sometime over Christmas or even a little earlier in December. taken, but alas I am probably 4-6 weeks behind my fellow seed circle members. patch, soil mine, and the chicken pen (if we choose to keep poultry next year). this aspect of our project will go seamlessly. but already I want to modify it by adding a couple of improvements. high 2mtr X 2 mtr tower, and a 6 section high narrow 1 mtr X 2 metre tower. board platforms for both towers. Kodak. So for the time being I can only apologise about the lack of photos. A wet and miserable June! Not much has gone on in the last 18 days, apart from we are rapidly approaching producing 35-40% of what we eat vegetable wise from our 9 sq/mtr project. Although everything we have as work-in-progress in the conservatory in pots is coming along extremely nicely, with most of it ready for planting out when we have the joyous experience of a break in the rain. … the amount of this wet weather we are having this year is becoming ridiculous! Lois and decided to have a few days away with 3 nights booked into the cheap and cheerful travel lodge located in Glastonbury, and the rest of the week travelling on our whim and booking into accommodation wherever we found ourselves. We climbed Glastonbury Tor, visited near by Wells and were enchanted by the architecture of Wells cathedral, did approximately half of the Wells Swan trail art project in the pouring rain, popped into Somerset Wood recycling in Weston-Super-Mare, went down Wookie hole, walked through Cheddar Gorge, which also included a trip down both Gough’s and the Cox’s Crystal caves, bought cider, perry & vinegar from Hecks of Street, and we enjoyed a day at Longleat safari park. Alas, the weather was very unkind to us and after trying to book accommodation in a very wet and rain sodden Oxford we drove on to Warwick. We had a pleasant morning in Warwick, when the rain began again, and so we decided to have a quick internet search of attractions within 100 miles of Warwick. With many varied cities, towns, villages and tourist attractions to choose from we then checked various weather reports for possible destinations, and were bitterly disappointed with what we saw. So with that in mind, and a sort of decent forecast for a few days in East Anglia we returned home to Norwich. With these few extra days at home it is our intention to get a head start on some redecorating and a couple of other DIY projects: I’ve also got a quick and simple reclaimed pallet timber project that I want to complete and post up on a couple of Internet sites. The reality of this 9 sq/mtr project has finally dawned on me this week, in that it is not one of those quick or instant gratification things that we who populate this modern world have become so accustomed to. I thought that by 6 and almost 7 months in that we would be producing at least 80-85% of the vegetables in our diet. As mentioned above we are currently at the 35-40% mark, and the cropping rate will soon be increased to about 50%. Although the reduction in our grocery bill is very much appreciated, it is self satisfaction that is our true goal, and though we are satisfied with our current achievement so far, there is a certain longing and high degree of challenge to improve and do better. With this mind, we have decided to begin feeding our growing vegetables with the home-made feed teas I have been making over the last 6 or so months. Virtually every weed that we have plucked from the garden this year has gone into a 60 litre plastic barrel, which has been started off with about 5 litres of my urine, and all of the waste water that I have produced when cooking. I tend not to add salt when steaming vegetables, preferring to add it at the table, but Lois does add salt during cooking. So I have utilised every drop of this waste water and the collected condensate from the steaming process that my cooking has produced, because of the minerals that are removed from the vegetables when cooked in this way; which is an awful lot less than if they were submerged and boiled in the cooking water. It is also this same ethos that I am applying to removed weeds: they have already taken up minerals and trace elements from the soil in our garden and I am trying to redress this balance without importing artificial replacements by adding the weeds to the barrel full of urine diluted with cooking water, and hopefully recycling these Minerals, trace elements and nutrients. It is a continual on going process which I began last winter and this liquid tea will now be added regularly to water in the watering can at a dilution ratio of 1 part tea to 20 parts water. I also have about 30 litres of Comfrey tea initially made in the springtime of 2011, but which still contains the comfrey fibres from last year, so I have made a “3 box” bamboo trials frame which I will use on one section of the lawn so I can evaluate the effectiveness of both of these home made plant feed teas. One box will be fed with weed tea, one box will be fed with comfrey tea and the third, central box will be utilised as a no feed control so that the results can be directly compared. We have purchased about 2kg of blood, fish & bone meal for use as a general top dressing for the whole garden, and I have used a reasonable amount of well rotted Horse & Donkey manure from the local sanctuary in the bases of each section of all the new planters. So from the organic feed and nutrient replacement side of things I think we have it more or less covered. Unfortunately there are no photos at the moment; my new Lumix compact digital camera that Lois bought me for my 50th birthday has ceased to function, and due to redecorating a couple of rooms I have mislaid my “held together “ with elastic bands but still working Kodak digital camera.